Welcome back to Cosmonautica my friends! 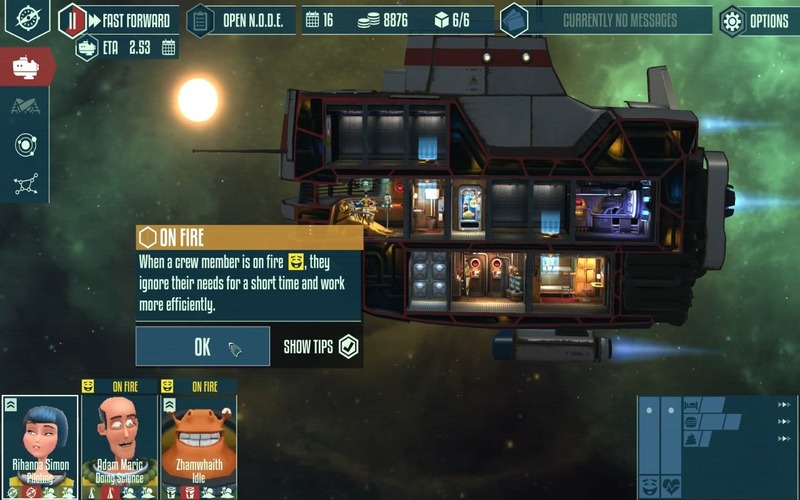 In this entry, thankfully the game doesn’t crash, and we do both missions (wherein we give rides to both indie developers and lovestruck romantics) and some cargo runs. We’re also researching a shower because now our scientist gives a crap about hygiene. I’m kind of fighting off ennui, however because I’m finding what SHOULD be the most interesting part of the journey here — the actual journey itself — is actually the least interesting part. It’s a conundrum, to be sure.